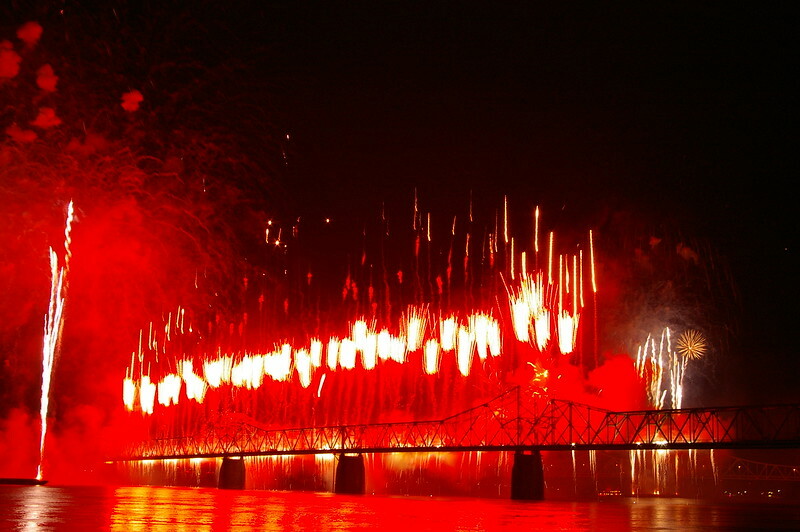 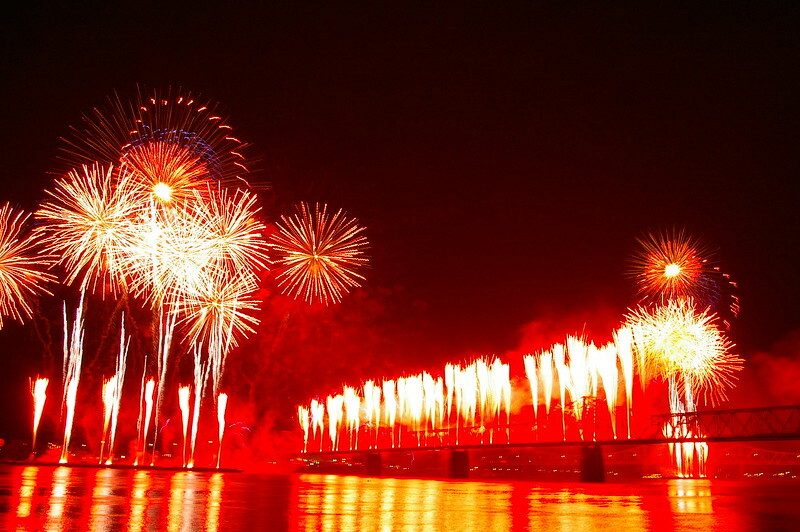 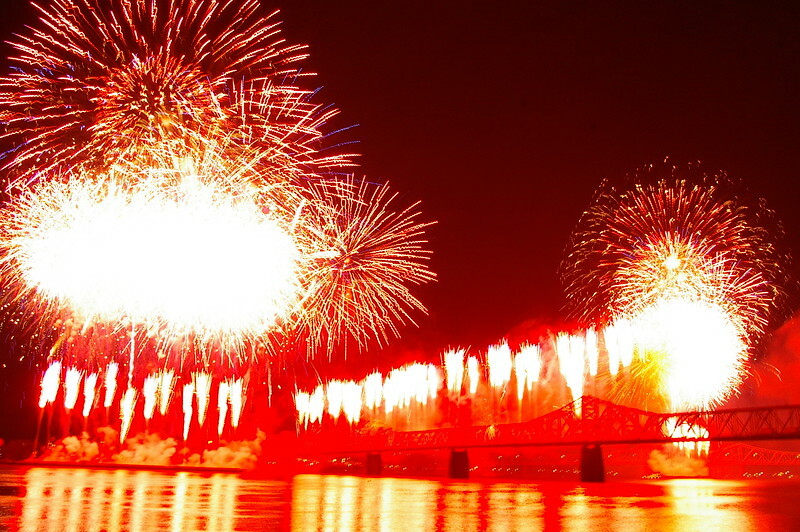 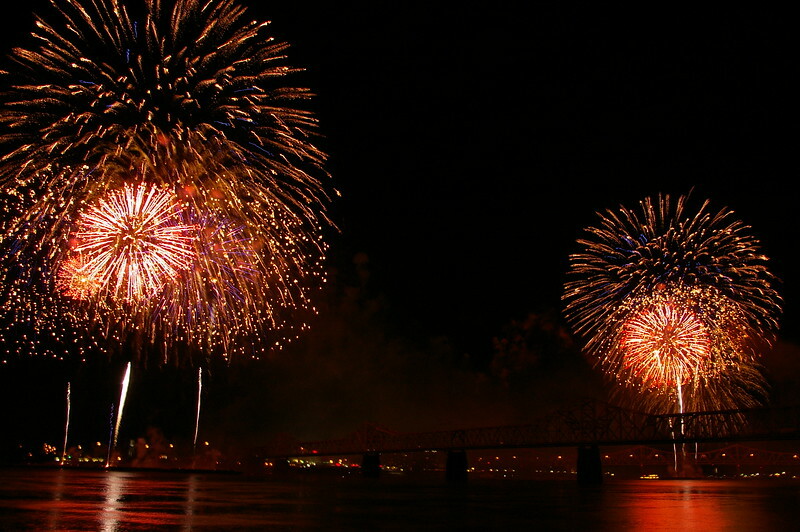 Thunder Over Louisville kicks off the annual Kentucky Derby Festival 2-3 weeks prior to the actual horse race held the first Saturday in May. 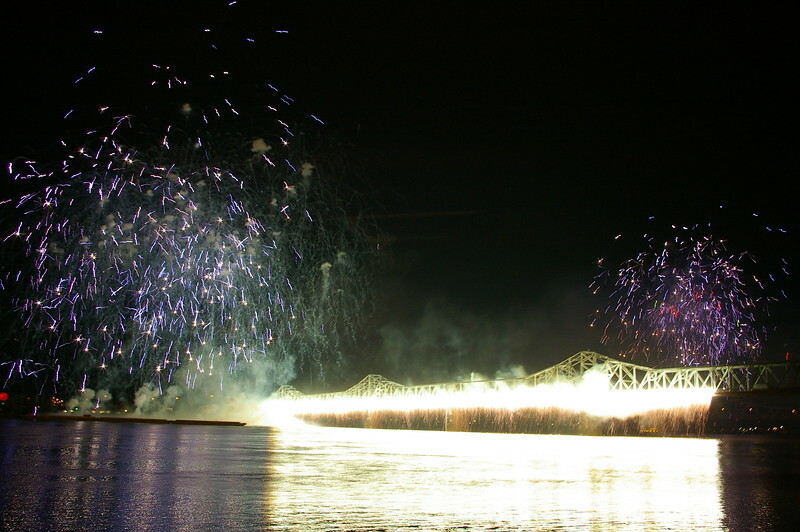 The images in this gallery were taken on April 18th, 2009, from the port side of The Spirit of Jefferson, which was docked on Louisville's shoreline parallel to River Road. 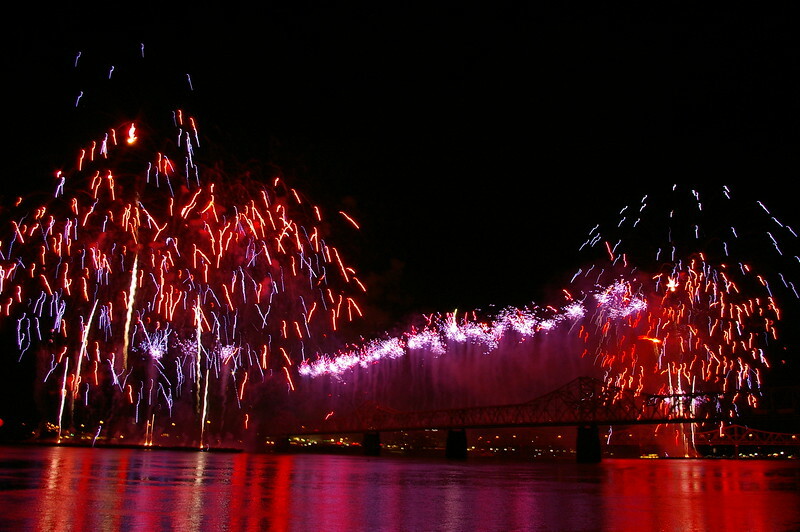 The backdrop you will see is the 2nd Street Bridge. 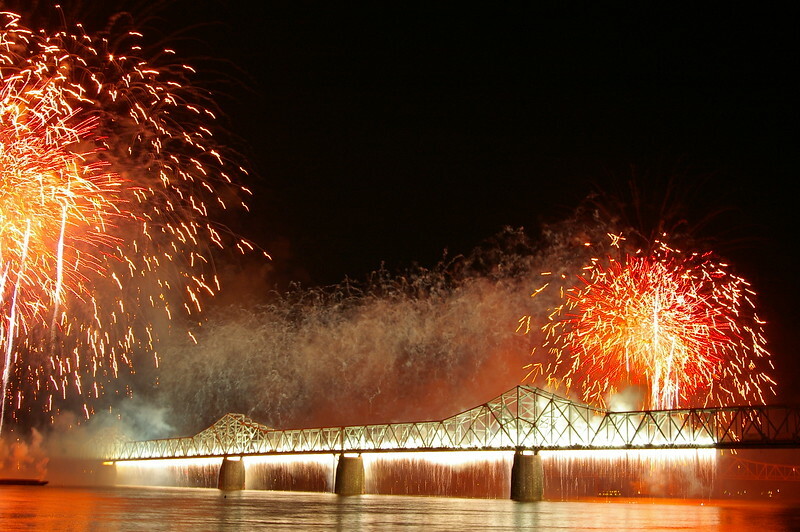 This bridge connects Louisville, Kentucky to New Albany, Indiana. 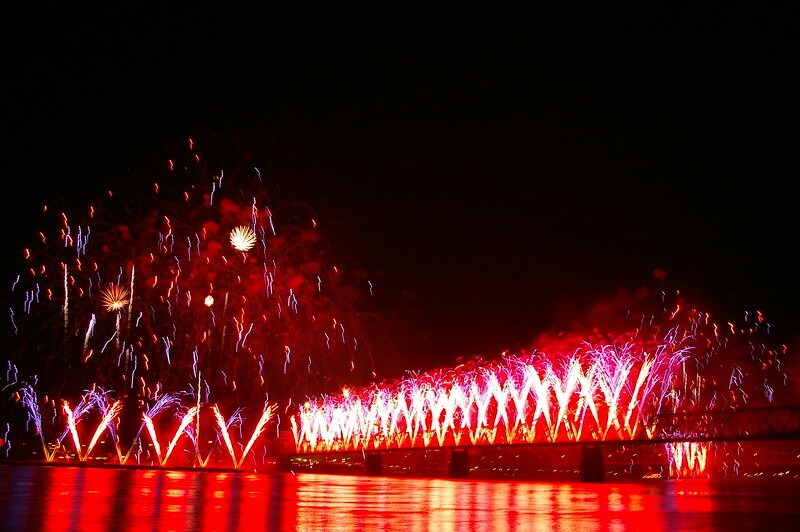 Although I took all precautions to keep my camera as steady as possible, a few images were blurred due to the necessary shutter speed and sheer magnitude of the fireworks display. 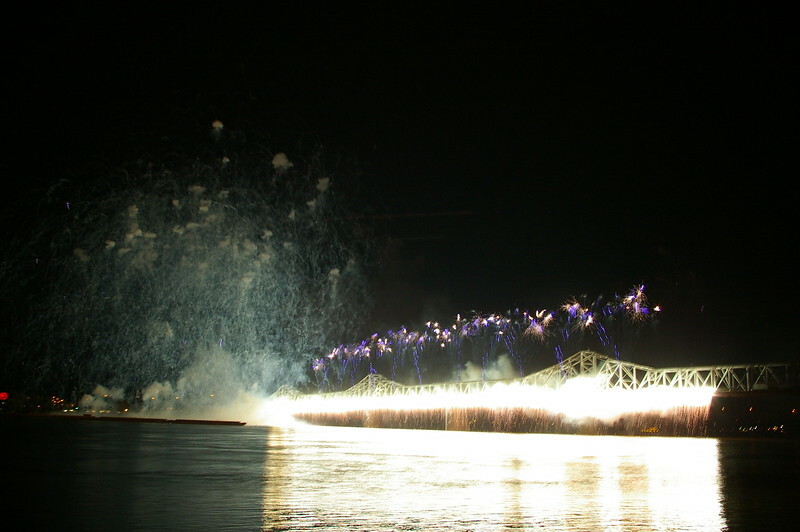 Yes, the fireworks actually made my camera shake! 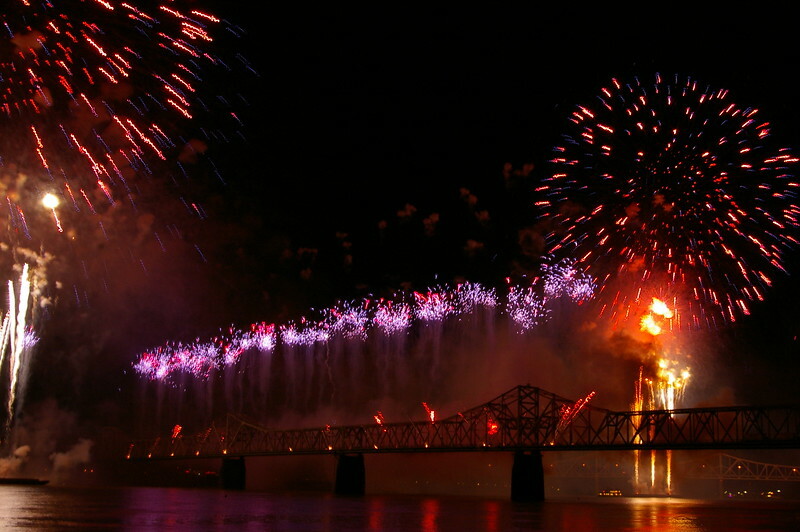 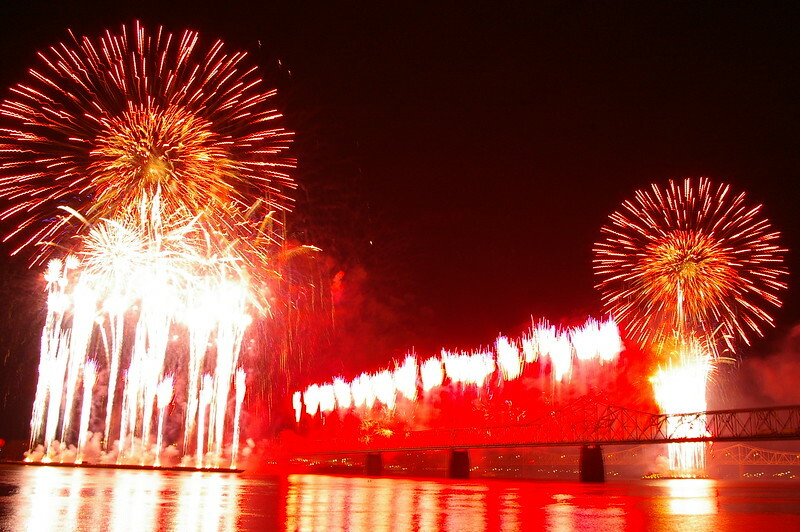 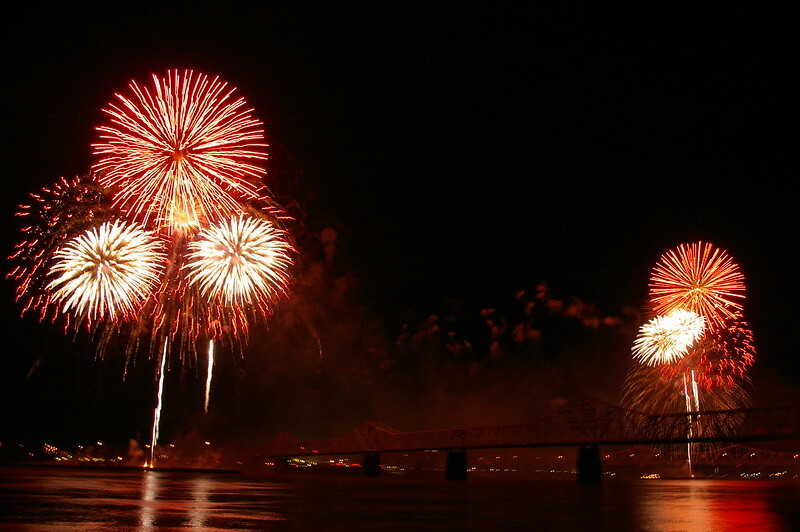 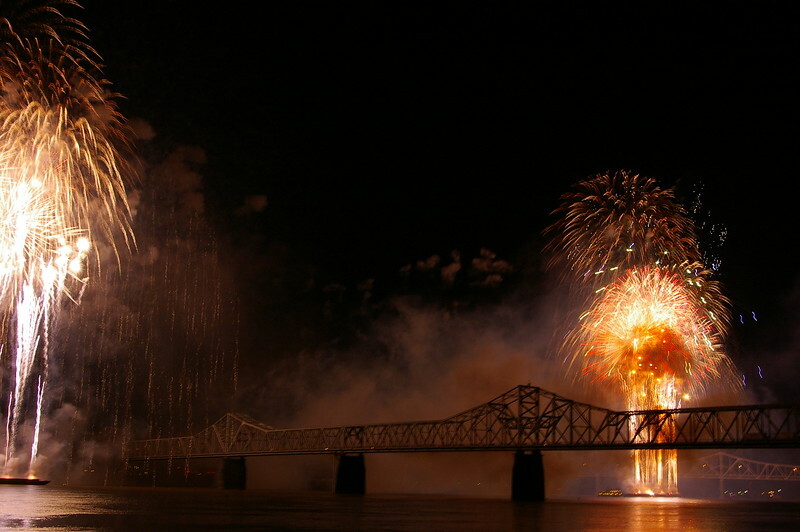 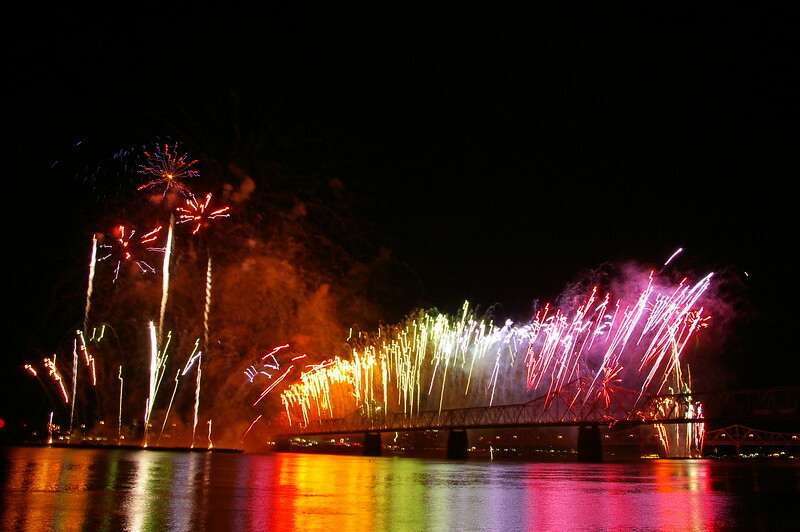 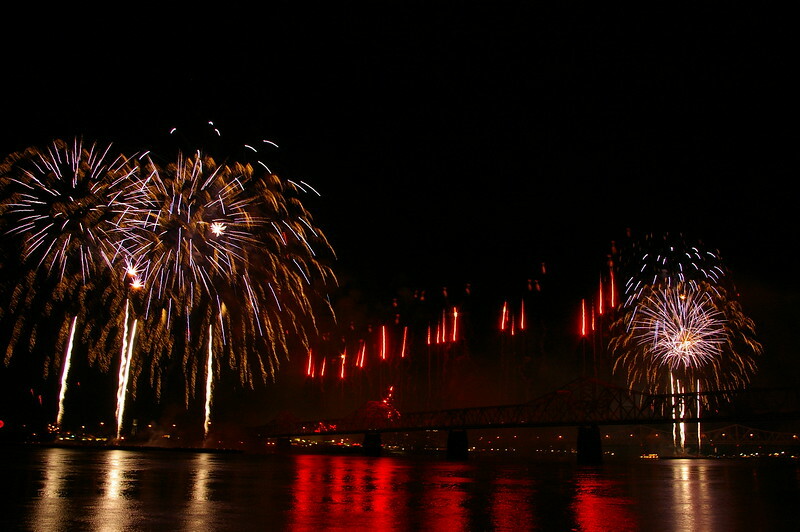 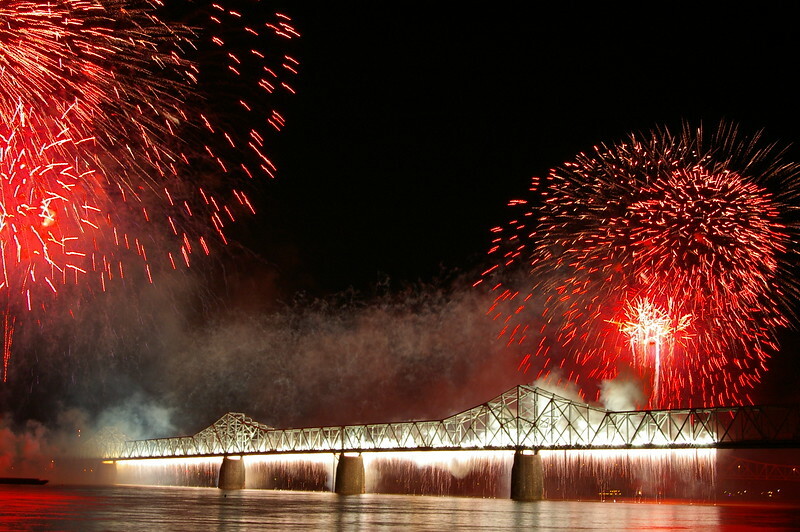 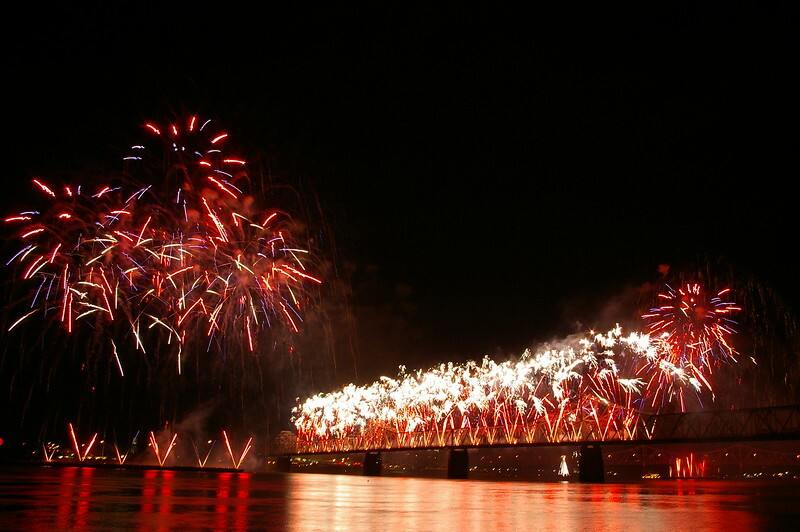 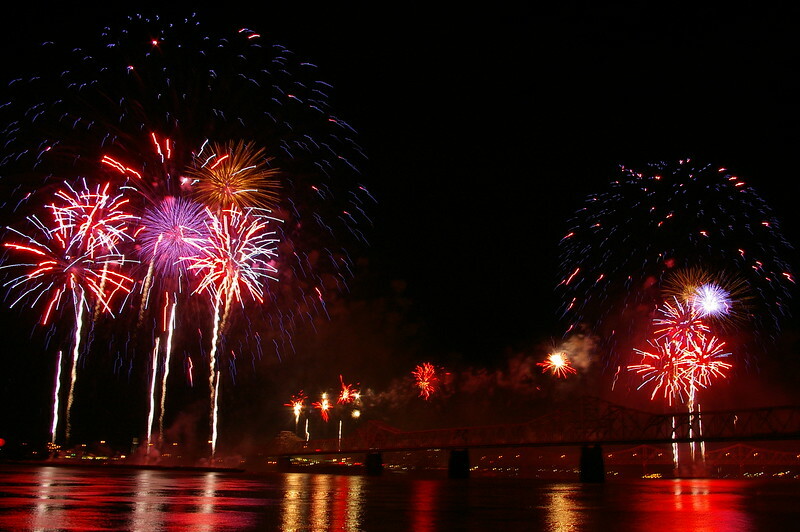 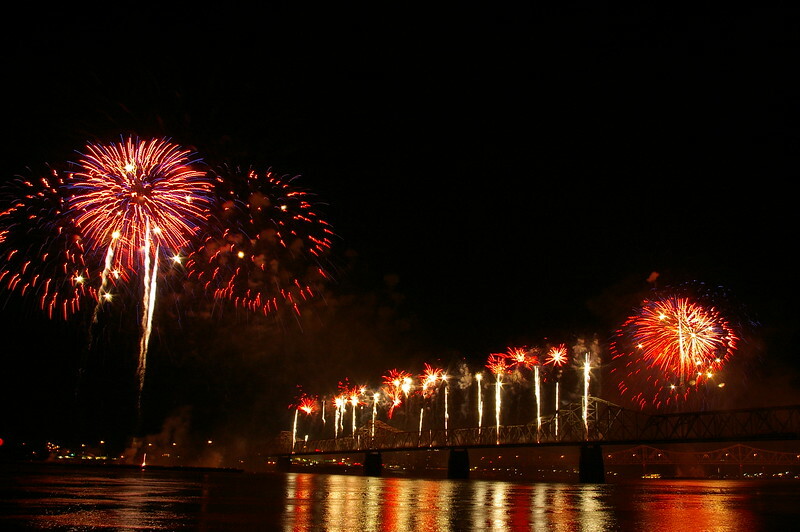 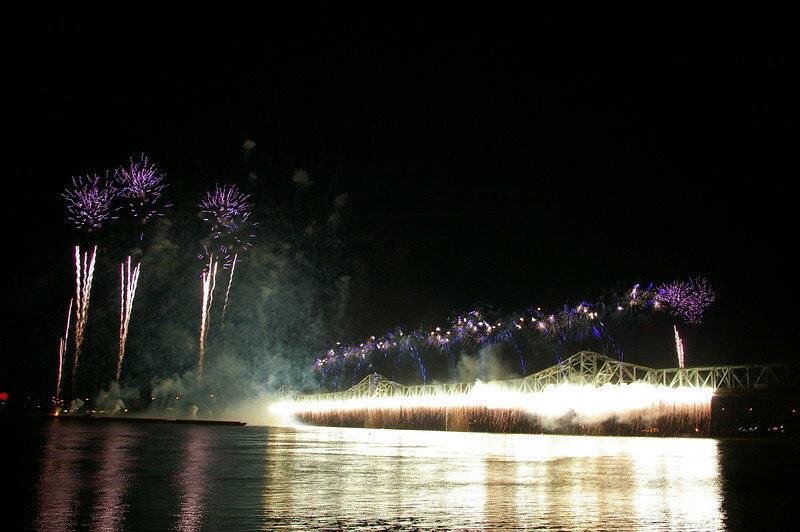 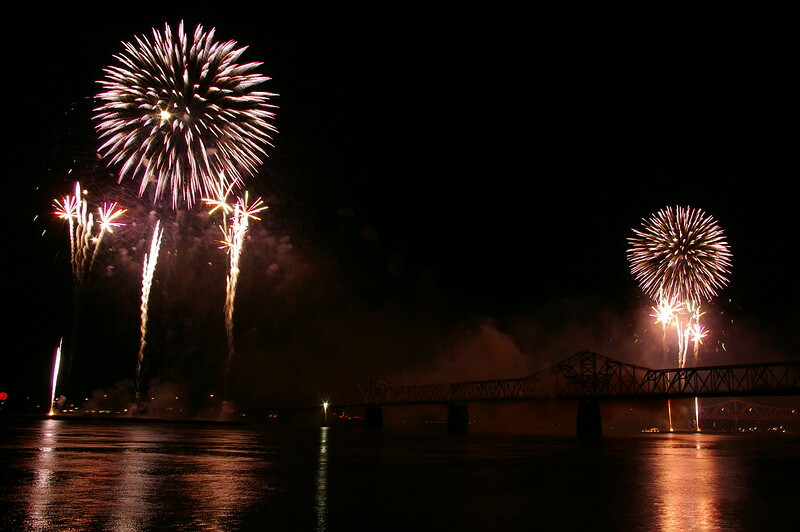 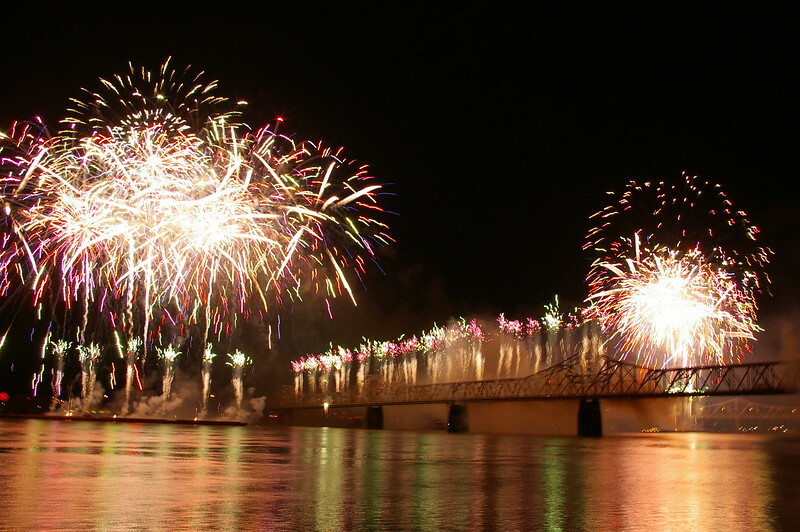 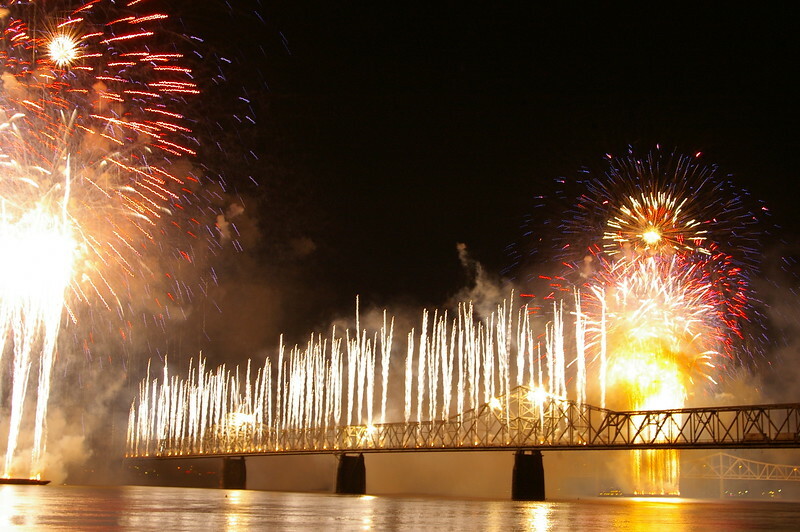 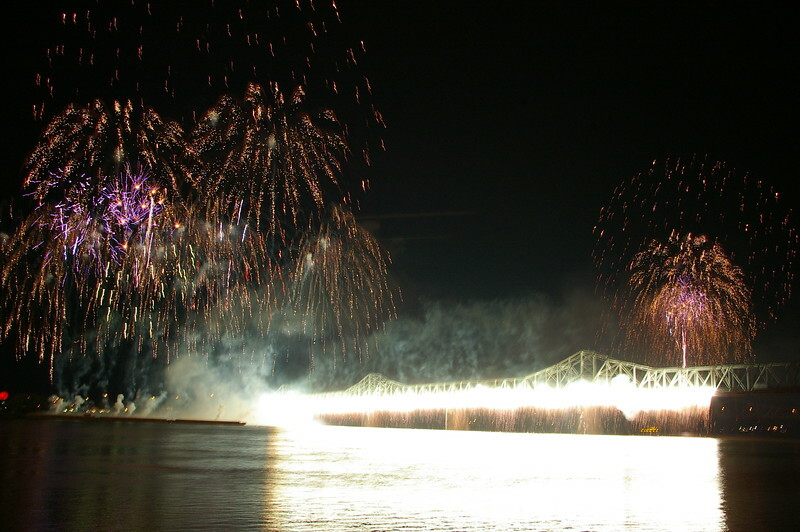 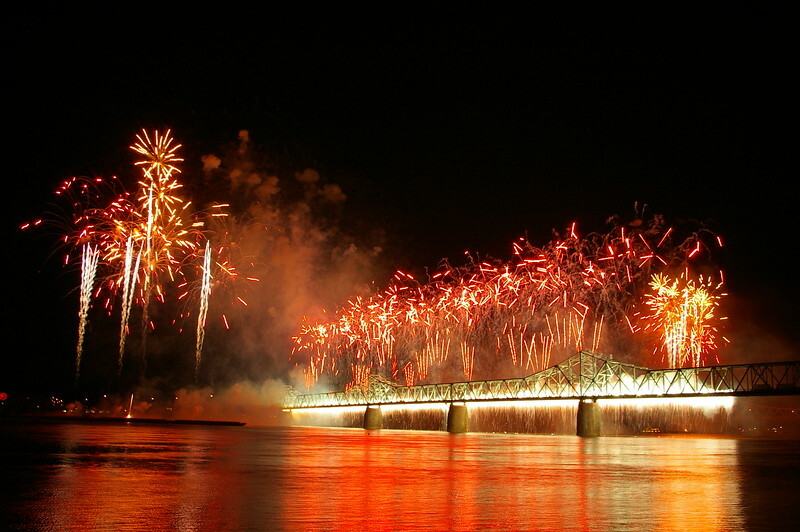 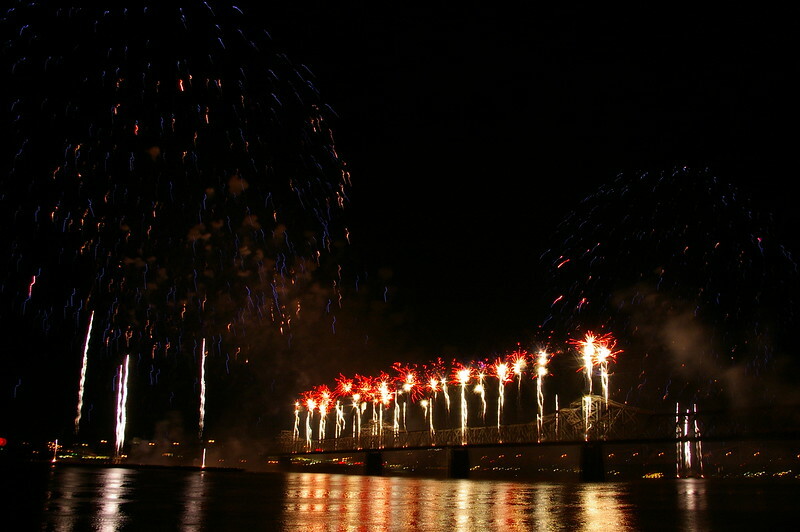 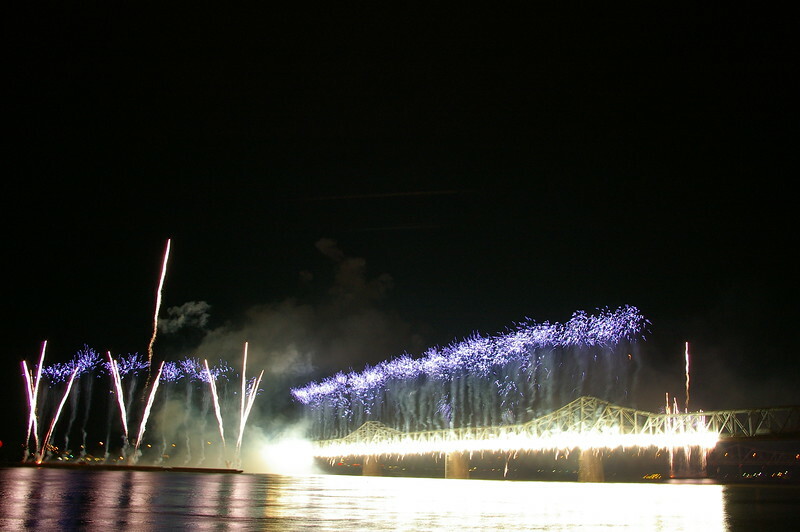 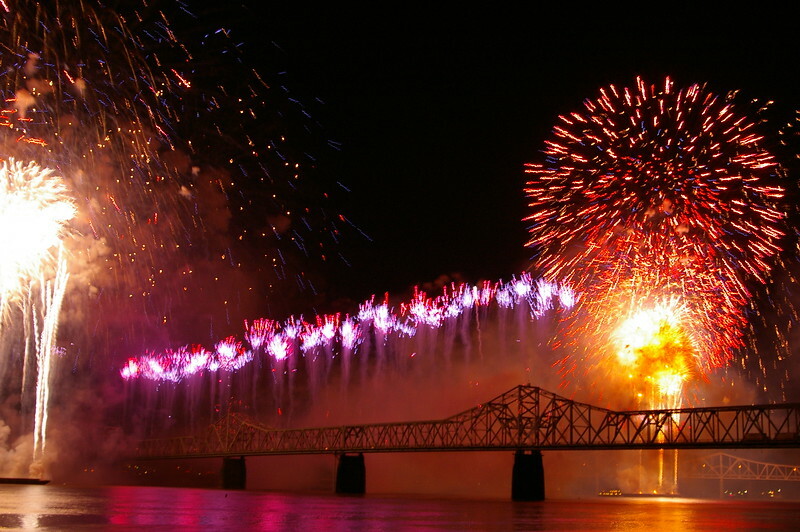 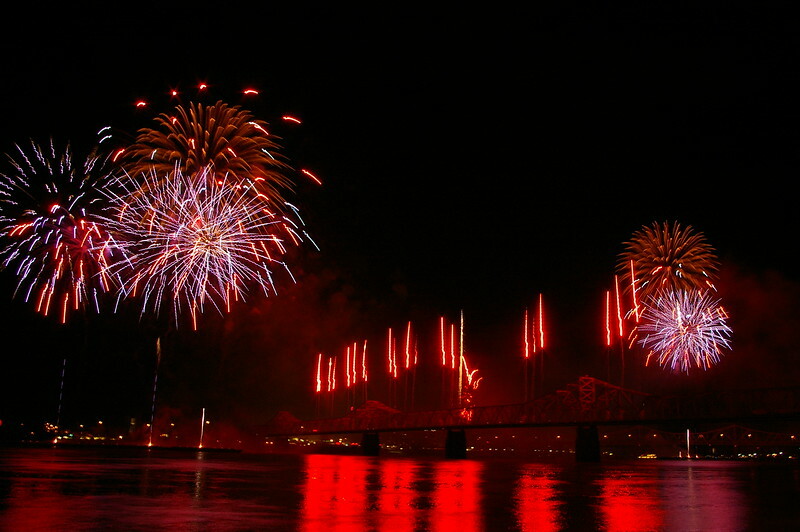 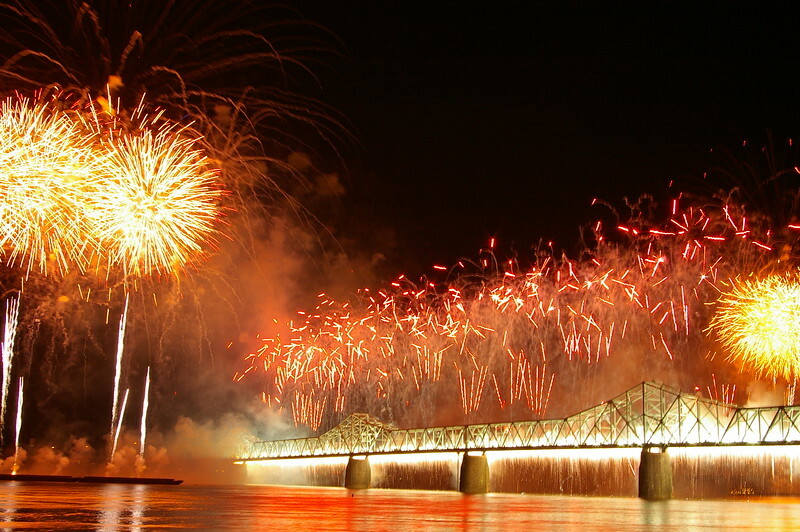 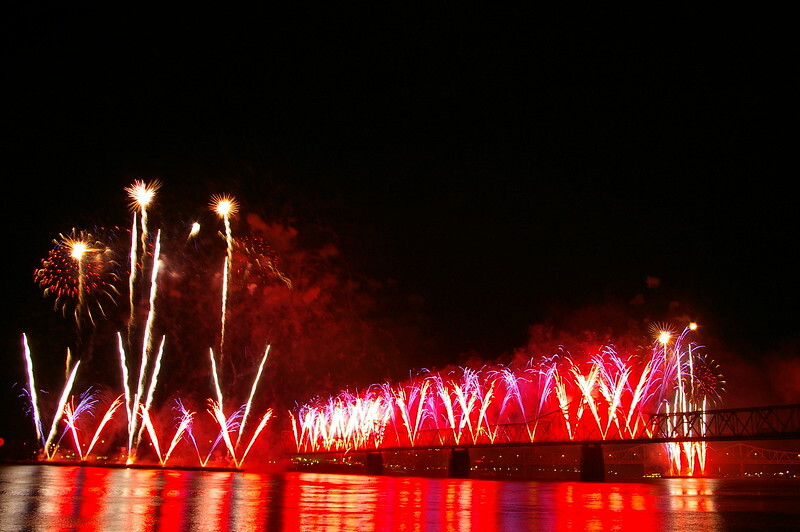 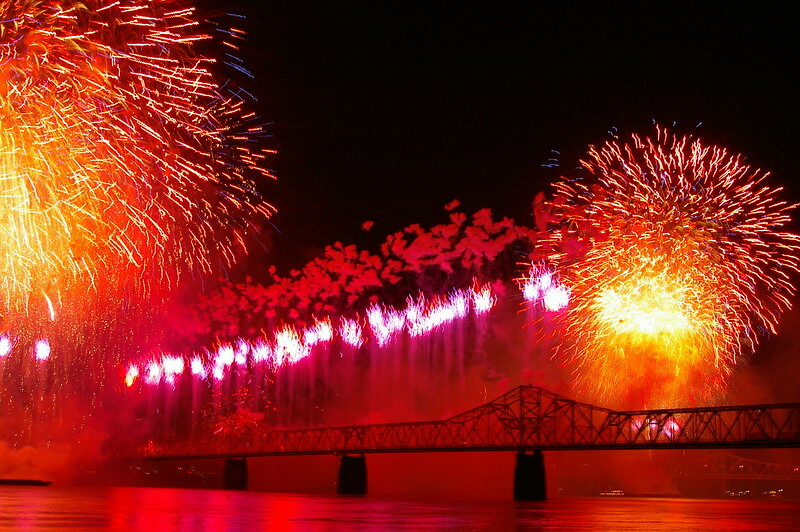 For more information about this event, visit www.thunderoverlouisville.org. 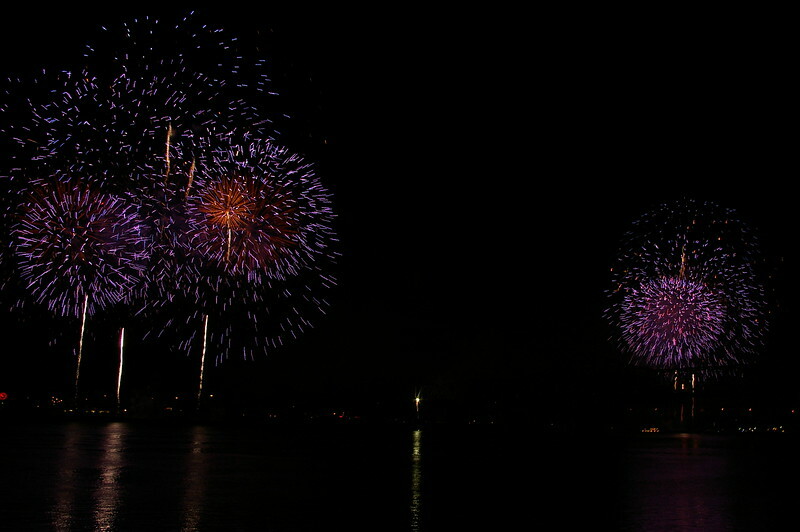 I hope you enjoy my images as much as I enjoyed taking them.